When it comes to finding the best Duncanville dentist, the team at Glow Family Dental can help. We do our utmost to provide exceptional dental care that exceeds the highest patient expectations, and we think every member of your family will learn to love visiting us for all of your oral health care needs. 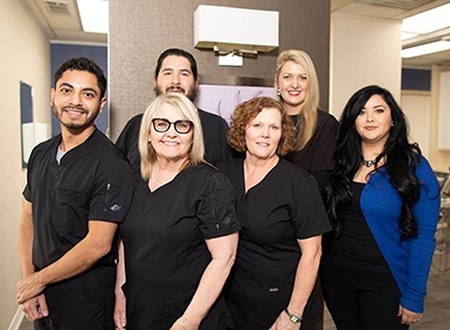 If you want to learn more about what sets us apart from other DFW Metroplex dentistry practices, call our team to schedule an appointment in our Duncanville dental office. It’s important that you find a dentist and dental team who have the necessary qualifications to safely and effectively provide the dentistry services you and your family need to maintain the optimal level of oral health. 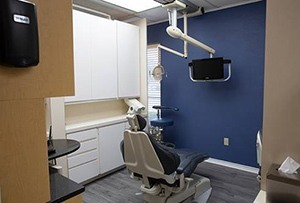 At our Duncanville dental office, you’ll work with Carlos M. Martinez, DDS and his team of dental care professionals. Dr. Martinez always wanted to enter a healthcare field in order to work closely with people. He attended the University of Detroit School of Dentistry where he completed his doctoral studies. 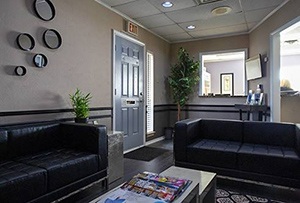 Since then, Dr. Martinez has dedicated himself to offering exceptional dental care with a personalized approach to treatment that makes visiting him and the Glow Family Dental team a great experience for every patient. “If you've ever had a bad experience at a dentist, you NEED to try Glow Family Dental! They will leave you saying, 'I LOVE my dentist!" As soon as you walk in the door, you are greeted warmly and can feel the 'family' atmosphere. Every person there is genuine, kind, friendly, and SO knowledgeable! Who knew there were so many tips and tricks to brush and floss better? The staff is patient, understanding, and actually care. They ask if you're in pain, if you feel anxious, and if you need anything. I always struggle with getting x-rays done and this time it was a breeze! I can't say enough good things about this dental office. You will not be disappointed! They really are the whole package. This is how dentistry SHOULD be!” Jaritza R.
“Dr. 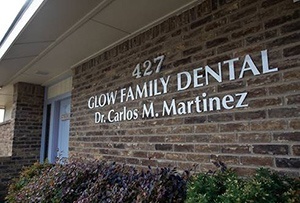 Martinez is an excellent provider and Glow Family Dental provides exceptional customer service. I was a patient of Dr. Malone at this location before he retired, and I was very happy with Dr. Malone and his staff. Dr. Martinez has really brought new energy and ideas to the office and the experience is truly outstanding. I have complete confidence in his expertise, and I refer any one in need of dental services to Glow Family Dental.” Brian J.